Known as a culture bearer, educator, traditional artist, and performer Leah Hopkins provides professional programs and performances to both Native and non-Native communities, institutions and organizations. Leah is strongly rooted in her traditions passed down through her parents, grandparents and extended family, resulting in a strong passion for educating Native peoples and facilitating programs to increase cultural competency. Her professional work experience includes the proprietorship of her own cultural consultation business as well many years in the museum and tribal youth education field. Leah is a seamstress and beadwork artist as well as a traditional Eastern Woodlands singer and dancer and a founding member of the Kingfisher Theater. She has performed both nationally and internationally and is looking forward to further traveling to share and educate about her Northeastern Native culture. 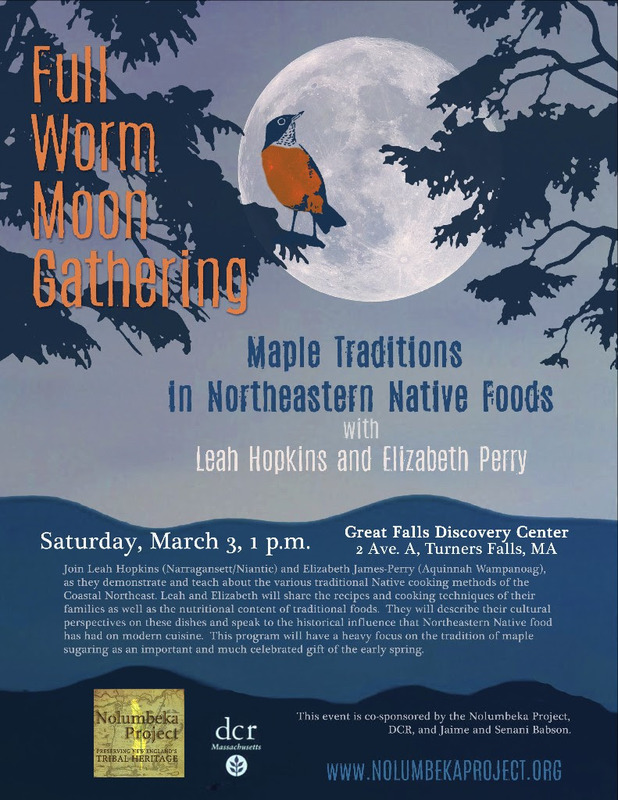 Growing up near in the bountiful Northeast, Leah has used the many gifts of the ocean, forest and field to provide her family with traditional nutrition, and has been preparing feasts of traditional foods for her community most of her life. Elizabeth James-Perry is an enrolled member of the Aquinnah Wampanoag Tribe on the island of Noepe (Martha’s Vineyard). Her fine art work focuses on Northeastern Woodlands Algonquian artistic expressions: wampum carving, weaving and natural dyeing. As a member of a Nation that has long lived on and harvested the sea, Elizabeth’s is a perspective that combines art and an appreciation for Native storytelling and traditional environmental knowledge in her ways of relating to coastal North Atlantic life. 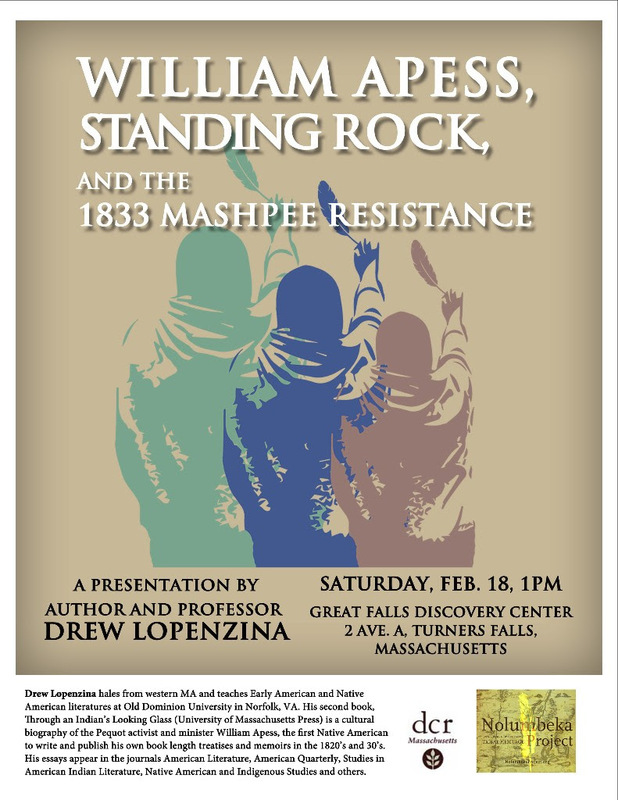 Author and Professor Drew Lopenzina will be giving a presentation at the Great Falls Discovery Center, 2 Ave. A, in Turners Falls, MA on Saturday, February 18, at 1 p.m. The event is free and co-sponsored by the Nolumbeka Project and DCR. William Apess was born close by, on January 31, 1798 in Colrain, MA. Drew Lopenzina hails from western MA and teaches Early American and Native American literatures at Old Dominion University in Norfolk, VA. His second book, Through an Indian’s Looking Glass (University of Massachusetts Press) is a cultural biography of the Pequot activist and minister William Apess, the first Native American to write and publish his own book length treatises and memoirs in the 1820’s and 30’s. Advance praise by Barry O’Connell states that Lopenzina “brings Apess nearly fully to life, which no one else, among many scholars, has. 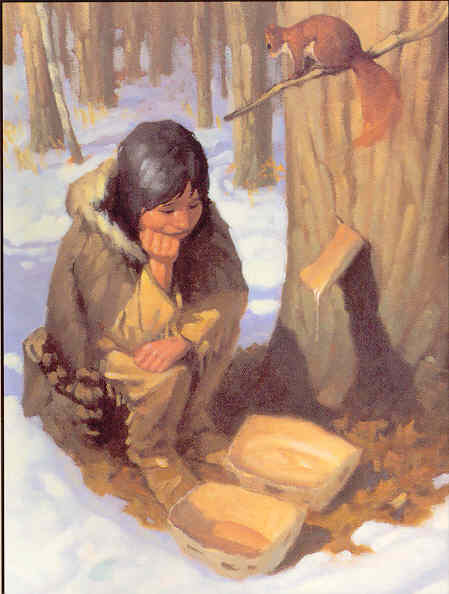 I know of no better reader of Apess’s own writing.”Lopenzina is also the author of Red Ink: Native Americans Picking up the Pen in the Colonial Period. His essays appear in the journals American Literature, American Quarterly, Studies in American Indian Literature, Native American and Indigenous Studies and others.